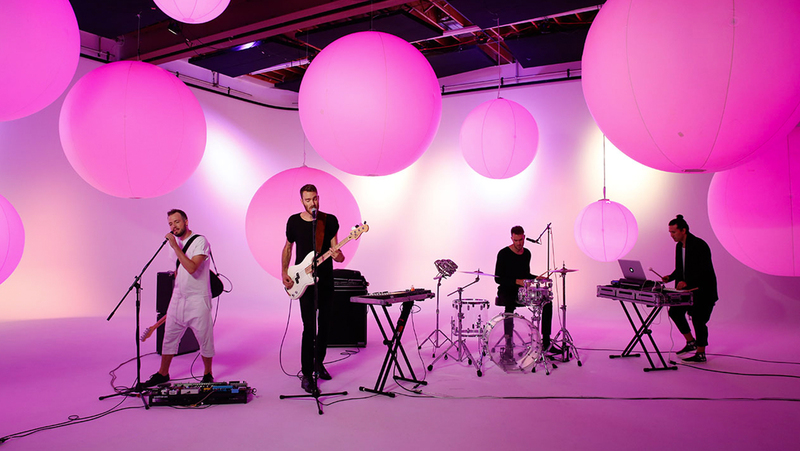 The next project we’d like to share with you is the music video we did for the band Bear Mountain. Filmed in the Summer of 2015, we were tasked with creating and filming a music video for their first single “Hopeful” off of their sophomore album to be released summer 2016. Bear Mountain was looking for someone to produce a music video on a very tight schedule within a very limited budget. Due to the nature of this project there were a few complications that came up. One of our major complications had to do with the synchronization of sound, visuals and lights. Because our research phase was so short, we weren’t able to experiment enough with the output and outcome of the overall look and feel. With only one day of preparation and one day of shooting, we had to come up with the best performance for the video but with limited time to do so. Not being able to test the lights with a camera in place created unforeseen issues when the day of shooting occurred. Another issue that arose was that lighting and visual mapping had to be calibrated appropriately to the camera. In the end, we figured that in order to have as much footage to experiment on post-production and editing, we’d have to film a total of 100 shots combining three different ideas. These ideas were a combination of 3 sets, a full all white stage, a lighting zygote audio reactive stage and a visual mapping audio reactive stage. 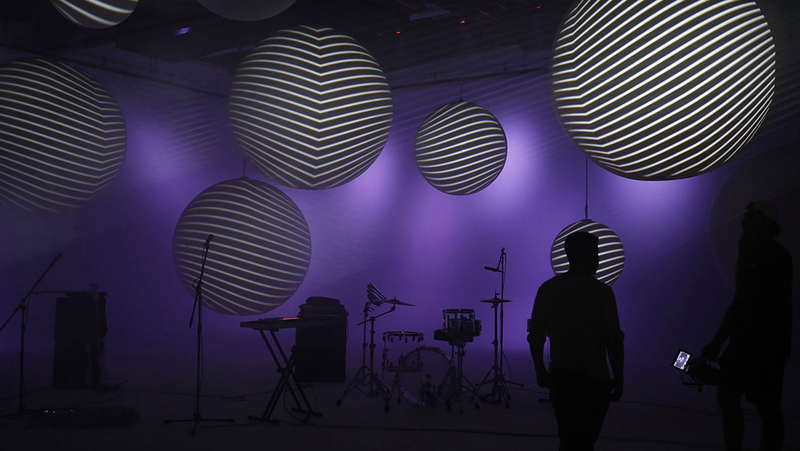 A dream of ours was to collaborate with Tangible Interaction Zygote Balls and projection map them with audio reactive synchronization (which we got to do). We had always envisioned to map them in an all white studio or live on stage to develop an outer space field and dimension. When we finally got to do this, the outcome was mind blowing and had a spatial feeling to it. Moving forward, if we were to do a similar project we’d make sure we’d have a bit more time to experiment with the context, form and lighting, and perhaps create smaller prototype to test on. Overall, the experience was amazing and one we will remember forever.